1850 Mortality Schedule of Botetourt County; William Farley; Old Bogle Cemetery Survey; Letter from E.A. Dunbar; 1850 Abstracts of Slave Holding Families of Russell County. 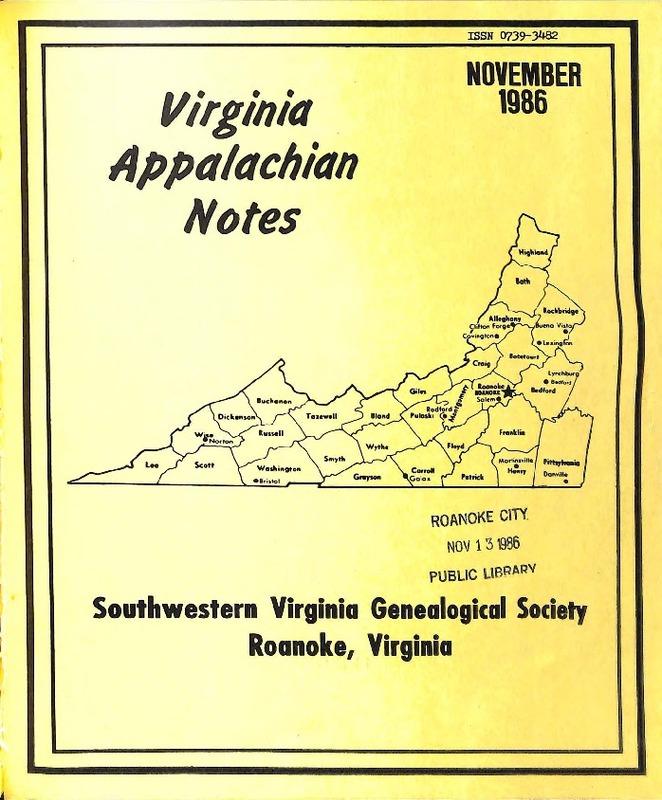 Southwestern Virginia Genealogical Society, “Virginia Appalachian Notes, Volume 10, Number 4,” Virginia Room Digital Collection, accessed April 19, 2019, http://www.virginiaroom.org/digital/document/VANv10n4.